Jane Caro opinion piece: Hanging public schools out to dry. 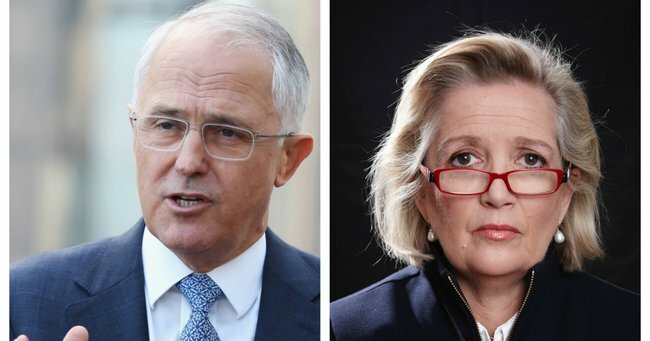 Jane Caro: "It chilled my blood when Turnbull suggested the easy way out in education." Back in 2003 I was in the audience for the launch of Michael Duffy’s book on John Macarthur – “Man of Honour”. The public figure who launched the book was one Malcolm Bligh Turnbull. This was a year before Turnbull entered parliament, so I assume he was chosen because of his illustrious middle name. Although not actually a descendant of the infamous Governor Bligh himself but rather of one of his supporters, the connection seemed appropriate for the occasion. Turnbull made a pleasant speech of which I remember little except for one rather revealing remark. He mentioned that it was great to be an Australian (an early hint of later themes, perhaps) because in this country anyone from any background could become whatever they wanted. I remember thinking at the time that it was a nice sentiment but how would someone like Malcolm Bligh Turnbull actually know? When Turnbull made his recent suggestion that, as part of the reform of our tax system, the Federal Government would stop funding public schools altogether while continuing their – almost unique in the world – largesse to private schools, I was forcibly reminded of that book launch. One of the most important mechanisms for achieving the very thing that Turnbull appeared to celebrate back in 2003 is public education. After all, one of the greatest risks any of us ever take is to be born. We have no idea into what circumstances we will emerge. Inevitably some of us are born more fortunately than others but we neither deserve credit for this, nor blame. Frankly, it is sheer dumb luck. When a community decides to fund schools that are open to every child, from every family in every community – in other words, public schools - it is doing what it can to address such inequalities. Indeed, it is one of the markers of a civilized society that it does what it can to offer each child as equal as possible a chance to develop their potential. A well-educated general population is what creates the stability, prosperity and security characteristic of well-functioning democracies, but it is not easy or cheap to achieve. Some kids, particularly those unluckiest at birth, can cost a great deal in time, money and patience to educate properly. Others – usually the more fortunate – can be relatively inexpensive. That’s precisely why it is both easier and cheaper to create a highly educated elite. Indeed, every tin-pot dictatorship you care to name does just that, with all the attendant corruption, cronyism, violence and misery. That is why it chilled my blood when Turnbull suggested the Federal Government take what certainly looks like the easy way out in education. I was relieved when he changed his mind after the COAG meeting, but I remain flabbergasted he and Minister Birmingham could ever have seriously entertained the idea. How can it ever be considered reasonable for the richest arm of government to only fund the schools that overwhelmingly educate the children of the better off? And just to add insult to injury, when defending his idea Turnbull said he wanted to keep funding private schools because such schools might not get a ‘fair go’ from the states. Frankly, words fail me. Despite their change of heart, it remains frightening that Birmingham and Turnbull were so embarrassingly eager to wash their hands of the schools that overwhelmingly educate the less fortunate. Our peculiarly Australian attitude to publicly funding private schools (very few other countries do so, particularly to the levels we do here) puts all the emphasis on parents – to the extent that governments feel no shame about using education funding to reward or punish the parents of whom they approve or disapprove. Call me old fashioned, but I believe that education is actually about children. In the end it is no good to put the total responsibility for education onto parents. If you do that you can only entrench generational privilege and underprivilege. After all, no infant is disadvantaged through any of their own actions. They are disadvantaged purely because they have been born to parents who were less well able to navigate society than another child’s parents. That is why a brilliant, well-supported public education system is so necessary to any country that values its future. Terrifyingly, most of our politicians on both sides went to private schools and send their kids to them. With a few honourable exceptions, they know little about public schools and when they float ideas like this one, appear to care less. Turnbull is now saying that his government is not ‘wedded to the full Gonski’. Is that what this was about? To float something really catastrophic in order to soften us up to accept something that’s bad, but not quite as bad as a public education system hung out to dry? If so, he is playing very cynical politics with the future life opportunities of our most vulnerable children.